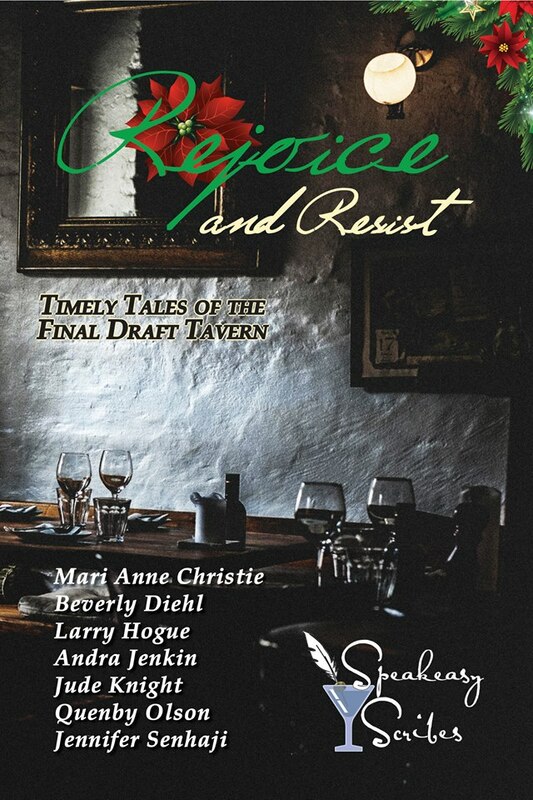 I’m pleased that a new novelette featuring my highwayman will appear in Rejoice and Resist, the upcoming holiday box set from the Final Draft Tavern. The story is titled “The Highwayman Takes an Office,” and takes place four months before the beginning of Daring and Decorum. If you’ve read the novel, you’ll remember Robin mentioning vague reasons for decamping from London to Devonshire. That’s explained here in fuller, more gripping detail, since Robin is pressured on a number of fronts and faces a difficult decision. Also, one reader of D&D questioned how the highwayman so successfully avoided both murder and capture by the authorities. That’s explained here, too. Here’s an excerpt from the beginning of “The Highwayman Takes an Office,” with a fuller description of the box set below that. Also, don’t forget to join us at our pre-launch party on Facebook, this coming Monday afternoon/evening. And if you share the event on Facebook, you’ll be entered to win a $5 Amazon gift card (our answer to not having a Russian troll farm to spread the news for us). In this excerpt from the beginning of the story, Robin and the gang have just finished holding up a carriage. Our horses chuffed and blew as we drew to a halt in a wood north of the Mile End Road. Red Jack gave his own whistle of relief as he pulled alongside me. “All righ’?” Tom asked, reining in on Jack’s other side. “Oh, plummy,” said Jack, holding out his gloved hand so we could see it shake. “It were close, weren’t it?” said Jack. Jack had rewarded the coachman’s foolhardy attempt at self-defense by leaping onto the box and clouting him on the pate with his own pistol. Now the fellow was lying in the ditch, no doubt attended to by the carriage’s footmen, while we made our escape, gold and valuables in hand. “Here,” Tom said, pulling a flask from within his coat. He looked at me, receiving a nod before passing it on to Jack. We usually didn’t tipple on the job, but Jack deserved it after his recent experience. He pulled his mask down and took a long swallow, his face pale in the tree-dappled moonlight. We’d been two years on the highway and never killed a man. Tom had put a ball through a footman’s arm early on, but soon our reputation for genteel behavior had spread. The Burgundy Highwayman and his noble lads never harmed their victims if they could avoid it; even the prettiest young misses had nothing to fear from them. In time, being robbed by our gang became something to boast of, the young ladies rhapsodizing over the highwayman’s flashing eyes and gallant speech as he demanded their baubles. “Streak or no, Robin, the marks are growing bold,” Sam said. I dismounted Juno, my black mare. Off came the tailcoat of claret velvet and the French cocked hat. Out from my saddlebags came a greatcoat, and in went the coat and hat, the latter becoming somewhat crushed, an unavoidable hazard if we wanted to fool any who might give chase. Last, off came the mask, just a square of black cloth. Around me, the lads did likewise in practiced unison. The quick getaway, an immediate change of dress, never more than one job in a night, and a constant shift in location: through measures such as these, we had kept ahead of Bow Street’s runners. 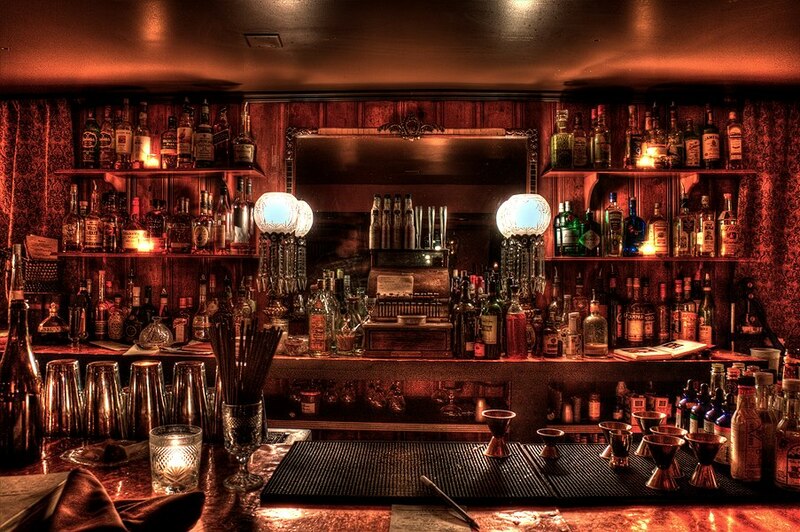 Many a highwayman had gotten his neck stretched through greed or a fondness for a favorite spot, not to mention a fondness for drink and boasting of his exploits in his favorite flash house. Coming up through the criminal ranks, I’d heard all the mistakes, and I was determined to make none of them. But Sam was right, our marks were showing more resistance. Two years made a long career for any highwayman, yet we were still far from that goal we all most desired: what those in the life call doing the trick, achieving independence and leaving the criminal life for good. This was not the time to turn from the methods which had brought us this far. Yet tonight’s events made me wonder just how much longer we had in this game before it ended with the blast of a pistol or the rough caress of the hangman’s nooses around our necks. Find out more about The Final Draft Tavern on our Facebook page, which includes historical tidbits and excerpts from all the stories.